Good morning, my loves! It is a beautiful, sunny weekend in Hong Kong and I am writing this from one of my favorite cafes on Hollywood Road. So chilled. I simply love this area. Yesterday I had a wonderful day on Lantau Island where I visited the biggest outdoor Buddah in Asia, a Chinese monastery and a traditional fisher village. I loved dipping into this culture that is so different from what I know from Europe or the US. I will tell you more about Lantau next week though. Today's outfit was shot on Cat Street Bazaar in Sheung Wan, only a few walking minutes from my house. 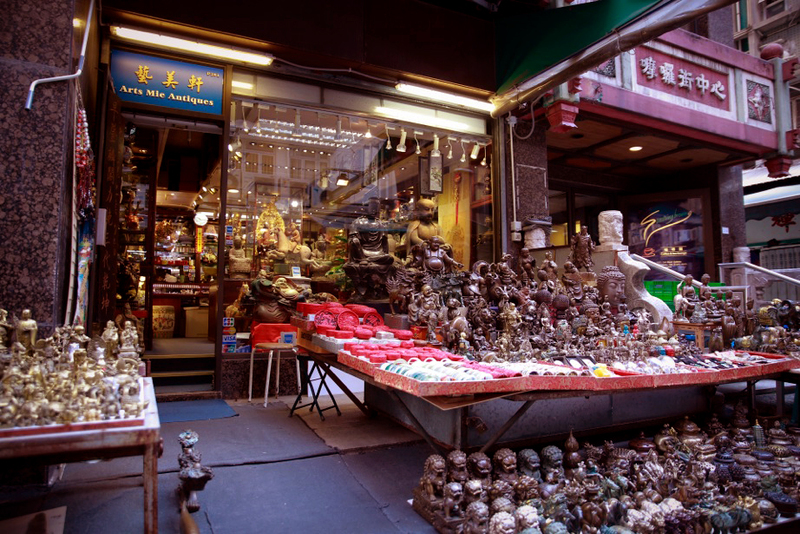 The nickname Cat Street comes from a time when stolen goods were sold here as in Cantonese stolen items are called "rat goods" and people who buy them "cats". Today you'll find antique dealers, curio merchants and art galleries on Cat Street. 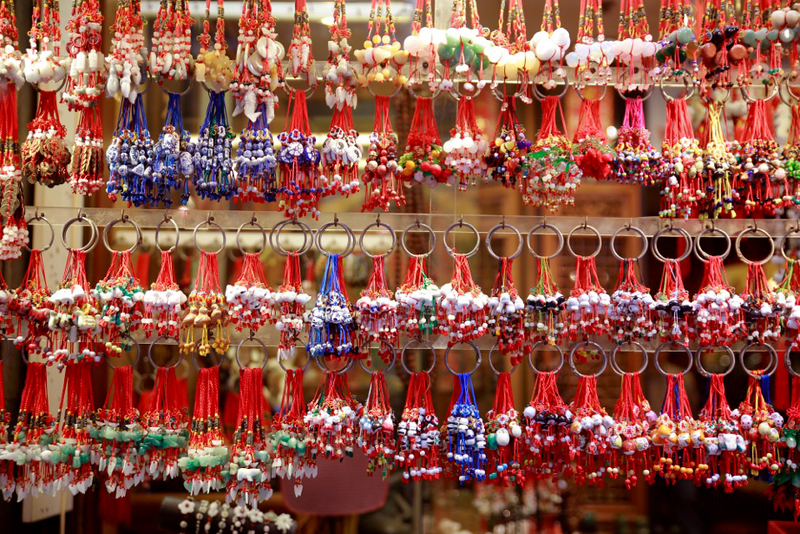 If you are looking for souvenirs like jade jewelry or silk garments you will find them here as well. The outfit I wore to visit Cat Street Bazaar is very casual an effortless. Most important are the shoes as I try to walk a lot in Hong Kong in general in order to stumble into cool places which will not happen if taking a taxi or the MTR. I am in love with my Birkenstock's at the moment that I bought here in Hong Kong actually. Stupid, I know. 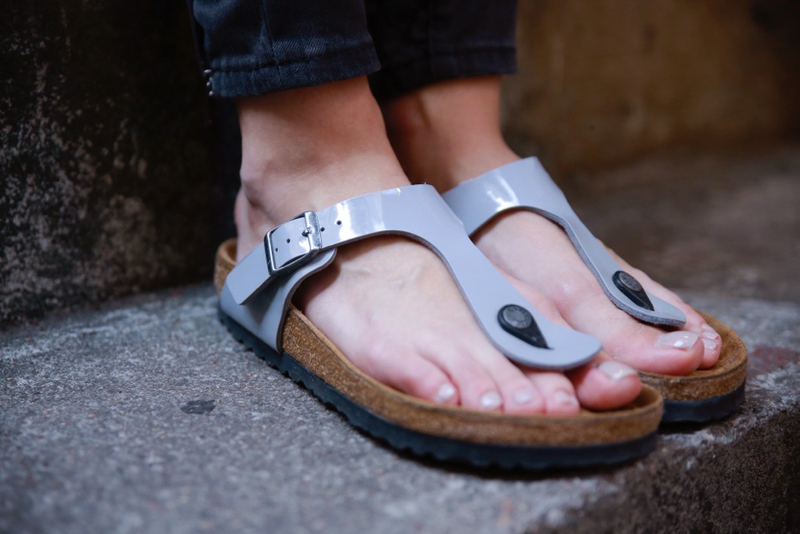 Birkenstock's are made in Germany and have a high quality sole that supports the foot just the way it needs it. Therefore you can walk in them all day - almost like barefoot. With them I paired a cardigan that I bought in a small local store. As I already told you in my post about budget and prices in Hong Kong you can make some awesome finds on the markets. 95% is cheap crap but if you dig deep there are pieces that are competition for brands like Zara - especially in knits. The grid pattern is very trendy at the moment. You find it on scarfs, coats, blouses as well as interior. The fabric of this cardigan is knit very dense so that you can almost wear it as a light coat. That Sunday I didn't want to carry a big bag and just grabbed a small clutch holding only the bare necessities and off I was exploring this amazing city. I wish you a wonderful Sunday wherever in the world you may be!